Get connected and stay connected from anywhere in your home. Powerful whole-home WiFi and home networking solutions installed by iEvolve Technology. Are you tired of constant media buffering? Irritated with always having to reboot your modem? Not having good WiFi in your home is annoying. iEvolve Technology offers whole home WiFi! What is whole-home WiFi? This unique set up features various access points to better distribute your Internet connection throughout your home. 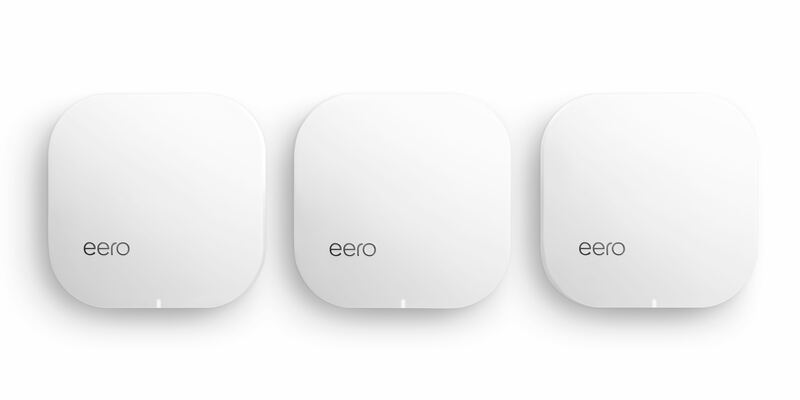 Powered by Eeros, the industry leader in whole-home WiFi, we can install a powerful mesh system that will ensure a strong signal no matter where you are in your home. Connect everything—desktops, laptops, gaming systems, printers, scanners, mobile devices—in your home to a powerful and secure home network installed by iEvolve Technology. Based upon your needs, we can install a hardwired or wireless home networking system (or both!). Contact us to get connected today. We serve the entire Houston area, from Richmond and Rosenberg to Atascocita and Kingwood!